> Industry Trends > UPDATE: How Will Tariffs Affect Pricing for Computers and Hardware? UPDATE: How Will Tariffs Affect Pricing for Computers and Hardware? It’s hardly breaking news that we’re knee-deep in a trade war with China. How is this going to affect pricing on the computers, hardware, and tech equipment you’re buying this year and next? There’s a lot of speculation, but here’s what we think you should know about the situation as it develops. What is the timeline for the Chinese tariffs? 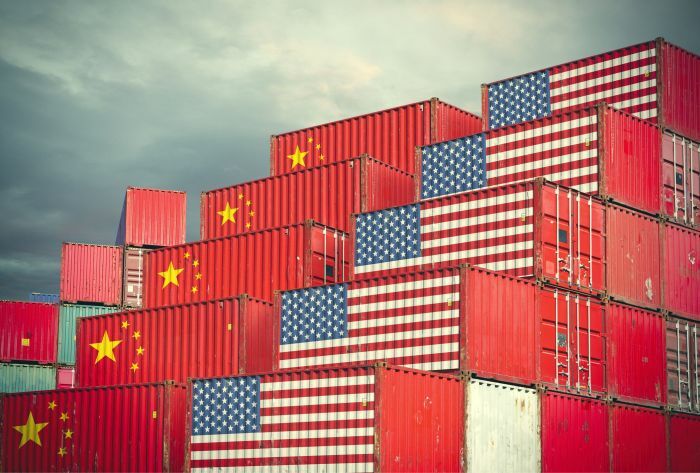 Starting in July, the Trump administration ordered the US Trade Representative (USTR) to impose a tariff on $200 billion worth of imports from China. The latest round of tariffs took effect Sept. 24, 2018. USTR keeps a 200-page list of items updated which outlines materials and products subject to the tariff. Right now, the USTR levies a 10 percent tariff paid at US ports of entry for these items. The USTR has confirmed a 25 percent duty on Chinese imports starts January 1, 2019. However, at the G-20 summit in Argentina, Chinese and U.S. leadership agreed not to increase tariffs beyond the current 10 percent rate for 90 days. Which technology items are affected by Chinese tariffs? We do anticipate that several major OEMs will feel the effects of the tariff. They import a good amount of these types of electronic parts and components from China for assembly in North America. This will affect OEM production costs, which will subsequently affect market pricing. By levying a smaller tariff ahead of a more substantial one, the federal government incentivizes supply chain adjustments. Which SKUs will experience pricing increases? Since we don’t have visibility into every manufacturer’s supply chain, it’s difficult to know exactly. It’s safe to assume that OEMs will pass cost increase down to consumers. Several manufacturers have broadly warned our product teams preemptively. We have seen cost increases for enterprise storage and optical disk drives categories after USTR scheduled them in July. Keep in mind that Chinese companies manufacture many—but not all—of the small components that wind up in finished systems. Parts also come from elsewhere in Asia: Taiwan, Singapore, Malaysia, Thailand, Japan, and South Korea. Because of that, we don’t expect to see pricing climb for every product across entire categories. However, do not be surprised if manufacturers raise prices on some SKUs as a result. There are some knowable indicators as to which manufacturers use Chinese parts in assembling their electronics. For example, a recent study by the U.S.-China Economic and Security Review Commission shows that hardware made by Cisco, Dell, HP, IBM, Intel, Microsoft and Unisys sources components from China for more than half of its equipment. Should consumers expect OEMs to pass higher costs to them? Yes. OEMs work on slim margins and cannot afford to shoulder a 10-25 percent hit on a substantial part of their production costs. So it shouldn’t be surprise that a recent news published in CRN magazine states that Cisco Systems will raise pricing on nearly 3,000 of its SKUs between 6-10 percent due to US tariffs. Do keep in mind that manufacturers and suppliers build list pricing so that end users do not feel the constant fluctuation endured in the supply chain. This is why the consumer market need not worry about global commodity prices for the raw materials from which switches and servers are fashioned. That said, end users can expect some insulation from the tariffs in that regard. Additionally, it’s reasonable to assume manufacturers will likely end up changing list prices across the board rather than working in tariff pricing on some units and not others. It diffuses the impact of the action to a degree for the OEMs. Also, it simplifies the bookkeeping up and down the supply chain. If you assume that about half of what ends up in finished products you use for IT comes from China, a 10-25 percent cost increase is substantial to the point that consumers will feel it. It’s not an emergency situation, so we’ll spare you the alarmist “buy now!” narratives. A word to the wise, though—wrapping up your year-end purchases before we get too deep into Q4 will probably save you a few bucks. Keep calm, carry on, and continue to work with your account executives for sourcing the products you need to get IT done. Article originally published Sept. 26, 2018, and updated with new announcements from USTR. How Will Tariffs Affect Pricing for Computers and Hardware? What should you do? Buy American whenever possible, encourage production in America, and don’t accept spy chips just because they can be made a little cheaper.